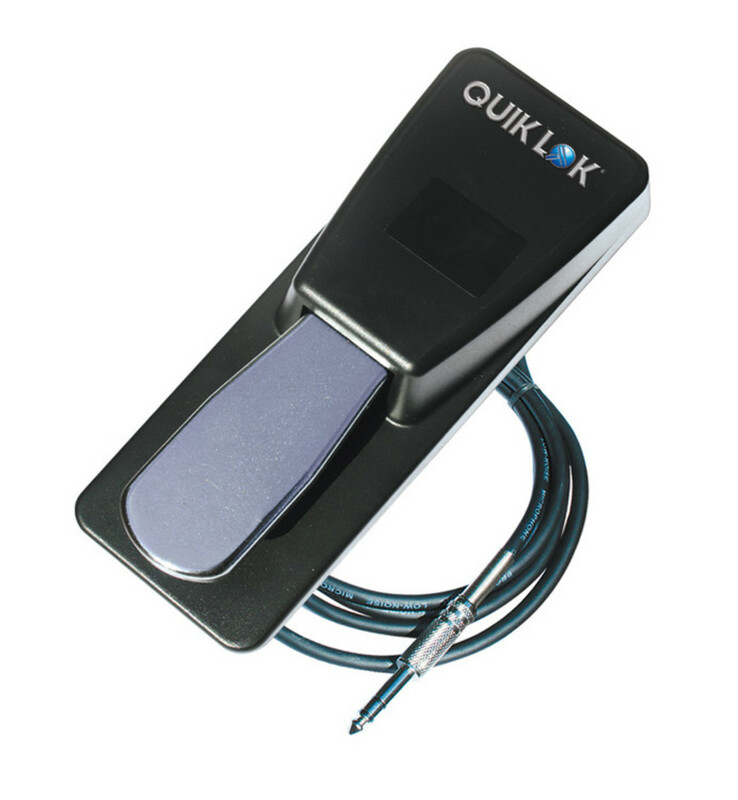 The Quiklok PSP125 is a classic, piano style sustain pedal. This momentary contact pedal can be altered to normally open or closed contacts by means of a mode selector switch. This keyboard pedal is sturdy, yet elegant and rubber coated for extra durability and grip. The Quiklok PSP125 comes with a 1.8m cable and a 1/4" Jack. It is ideal for use with any Korg, Casio, Yamaha, Roland or other electronic keyboard.